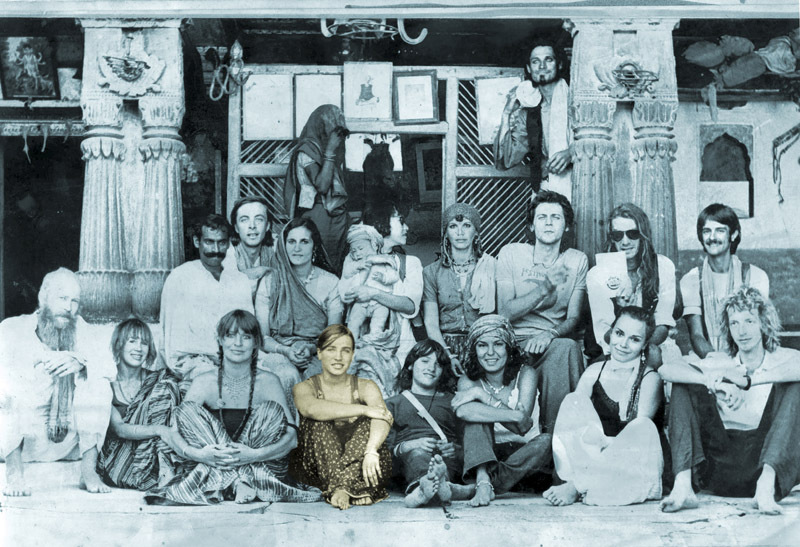 1978, Embryo, the German jazz-rock band, the documentary filming crew, and the Maharajah of Gondagaon, at the Maharajah’s palace, Madhya Pradesh, India. The trip provided the material for the film Vagabunden Karawane, directed by Werner Penzel, and the Embryo’s album, Embryo’s Reise. 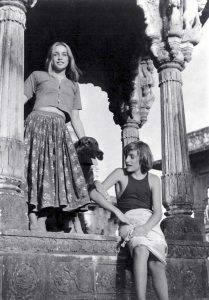 A young teen in 1978, Fedra followed her mother, a documentary film producer, on a road trip from Germany to South Asia. 1978, Fedra de Faria and his brother Dmitri Rugiero, at the Gondagon’s temple, Madhya Pradesh, India. The trip was a record of the musical performance tour of the German jazz-rock band Embryo. Along the journey, through all Southeast Europe, Turkey, Iran, Afghanistan, Pakistan and finally India, Fedra got interested in the jewelry craftwork of the nomad tribes they met in the way. Back to Europe, she began to study the technique of handmade jewelry. 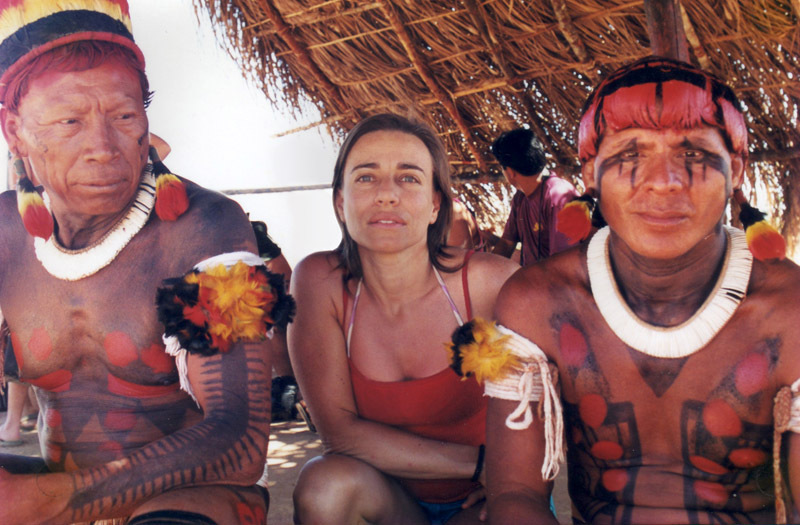 At the end of 1980, in Brazil, she joined the group of jewelry artists Escola Nova, with Ricardo Mattar and Marco Duailibi, among others. With them, she had the first exhibition of her work. In 2002 she did a long field research in Central-Brazil to know better the Xingu Indigenous People Culture, integrating that into her design style. 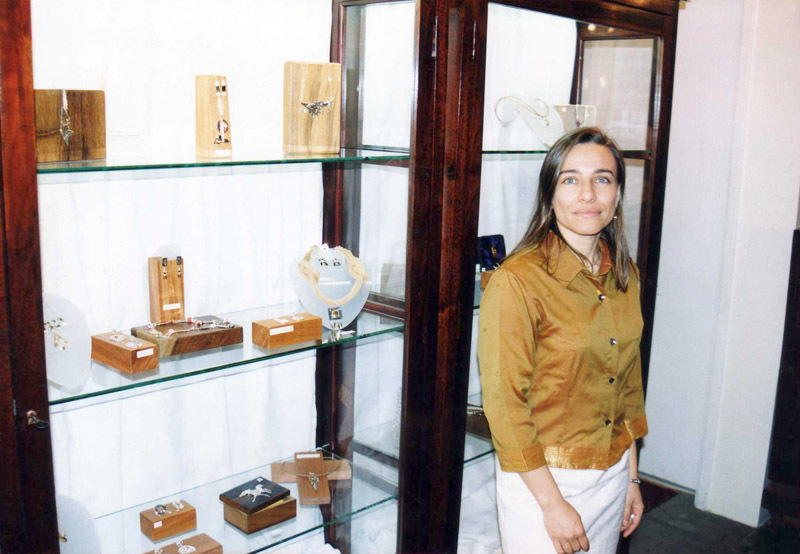 In 2005 she started the new line of design Precious Screens that mixes micro paintings and drawings with jewelry. Nowadays her design and execution in jewelry mix metals like silver, gold, and titanium, with precious stones, organic materials, and micro-art made by her or by guest artists.